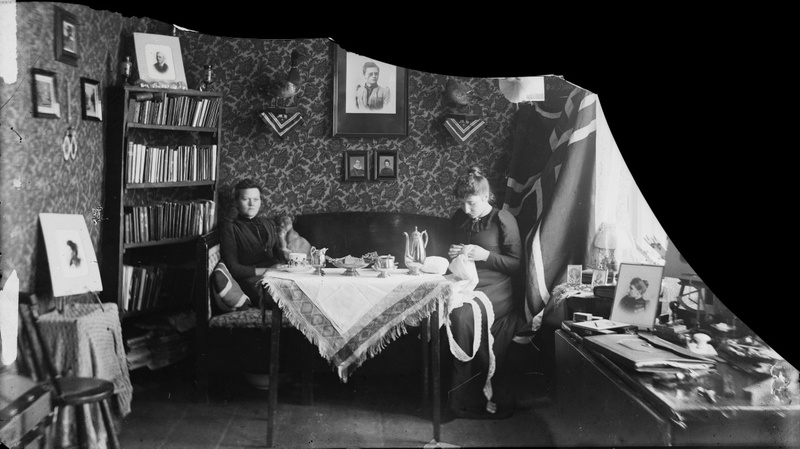 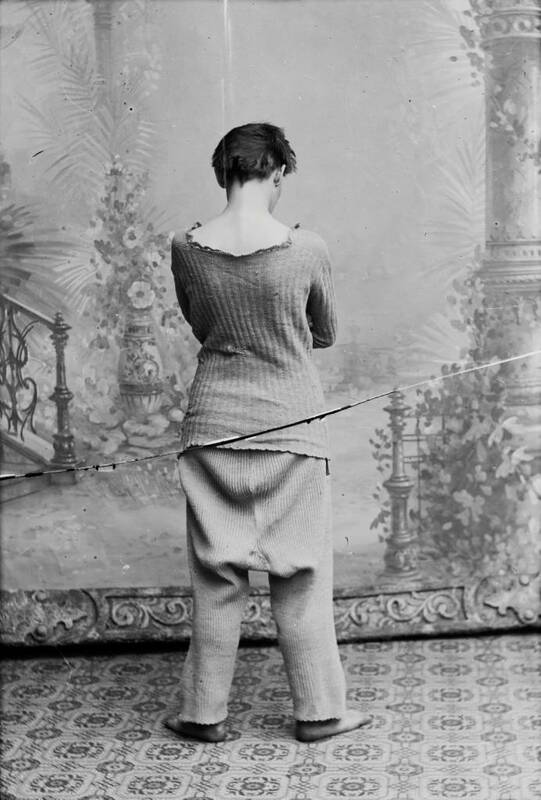 In a box marked “private”, portrait photographers Marie Høeg (1866-1949) and Bolette Berg (1872-1944) kept a stash of glassplates. 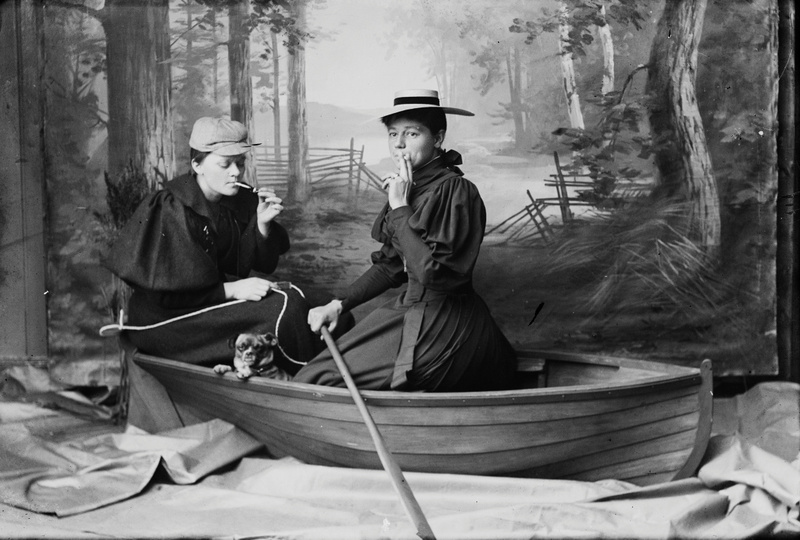 The pictures, which you can see below, show the pair having fun with various gender roles, lampooning the convention of active men and refined women. 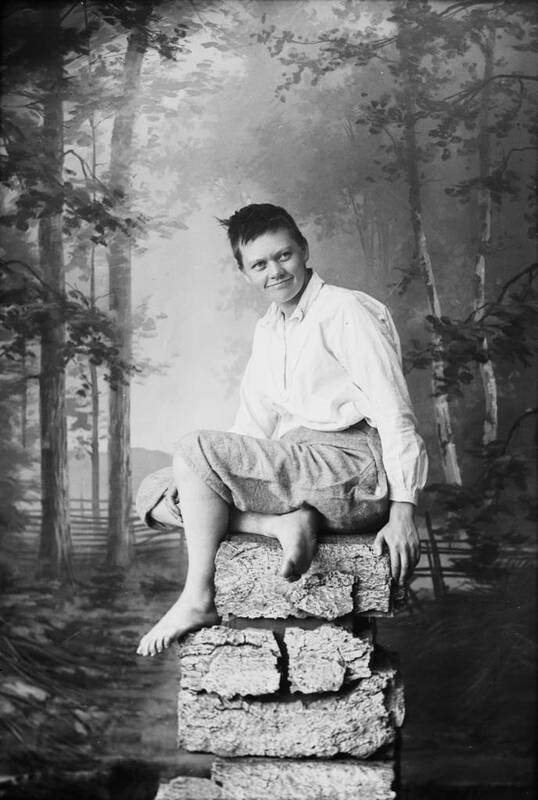 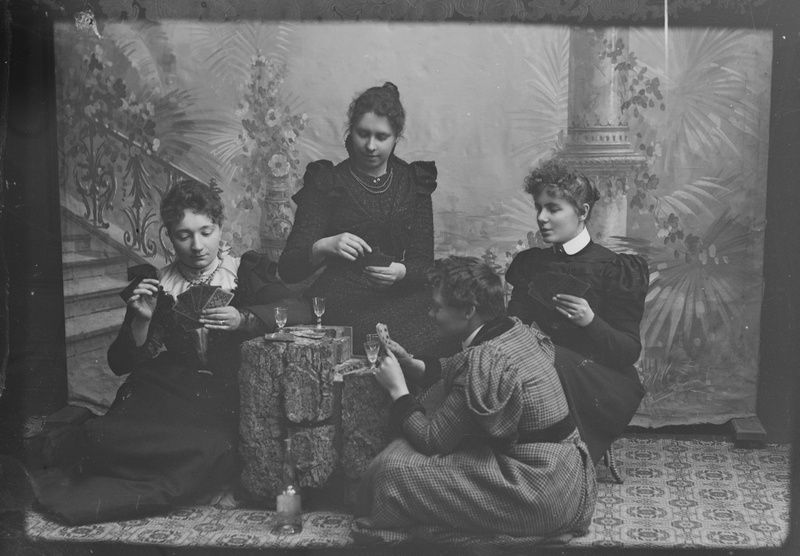 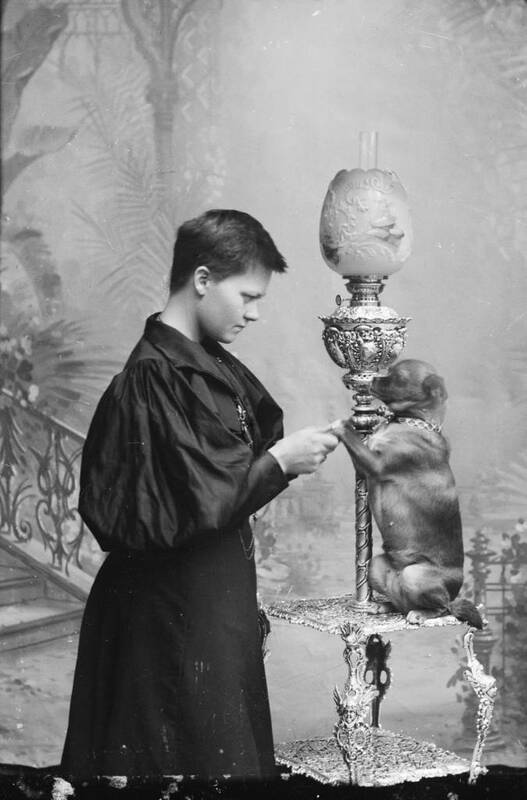 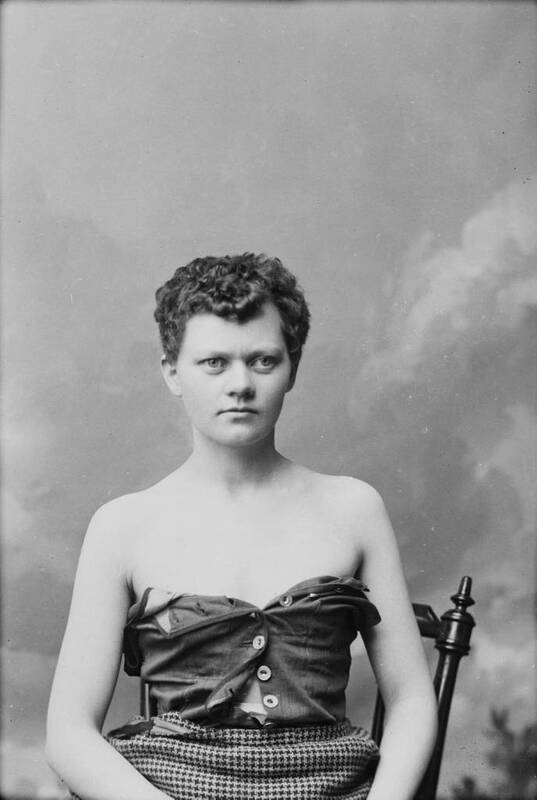 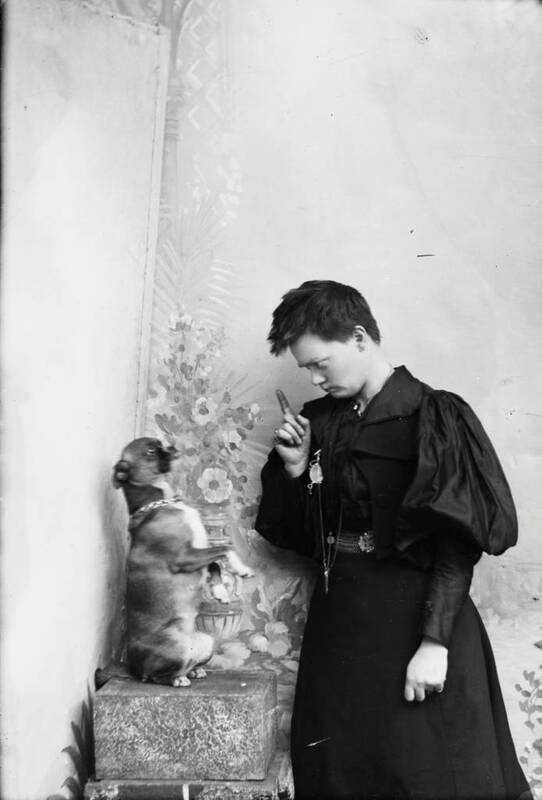 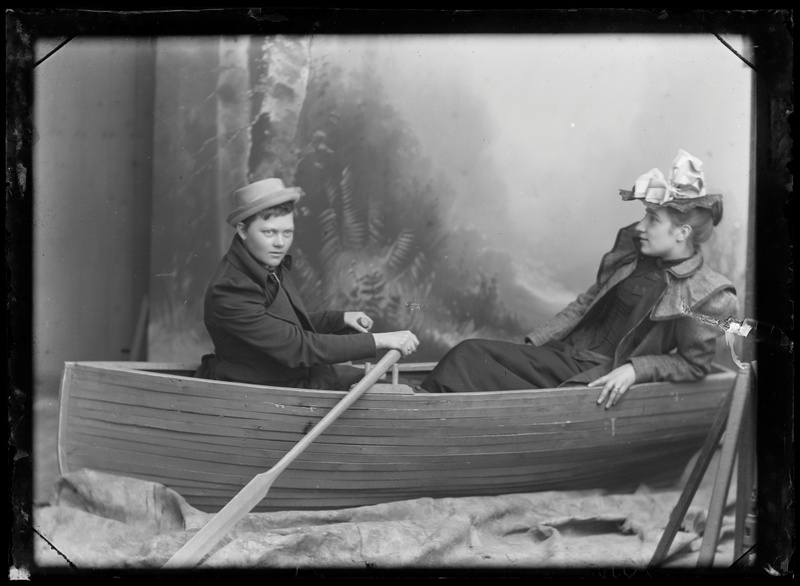 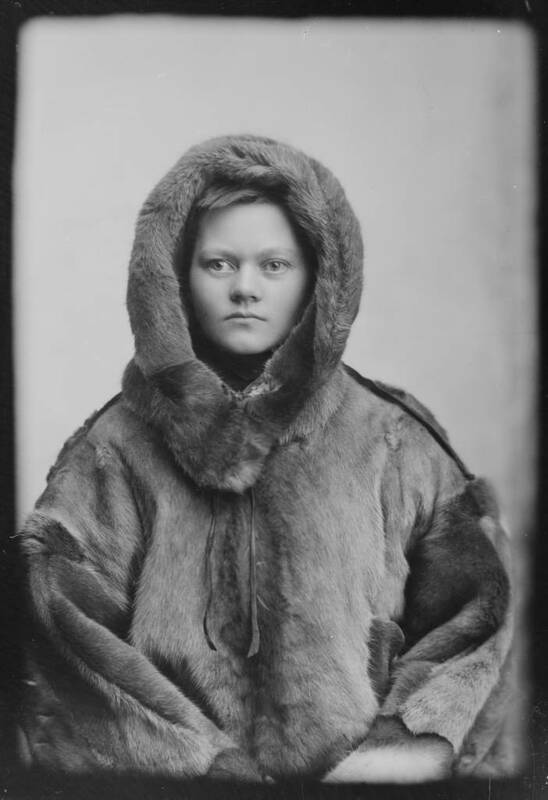 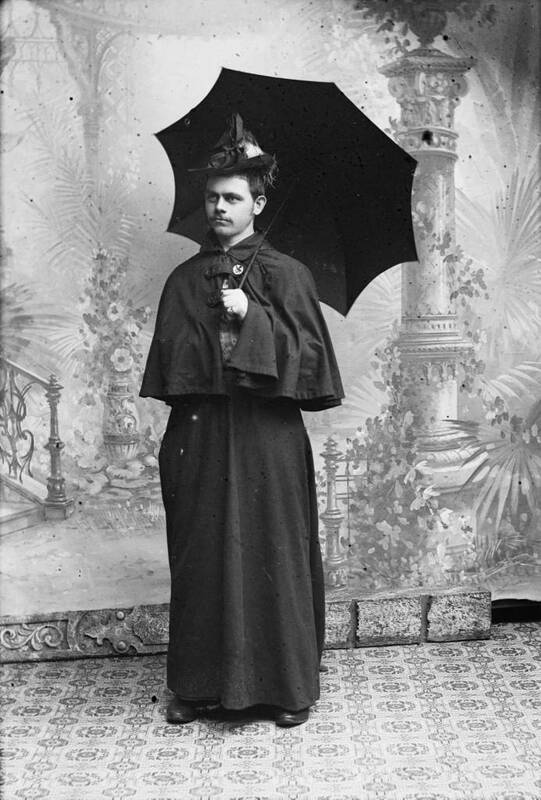 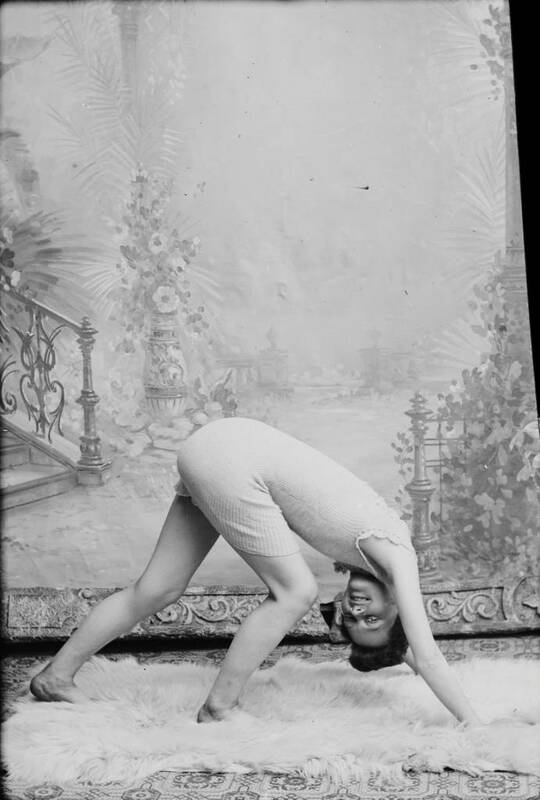 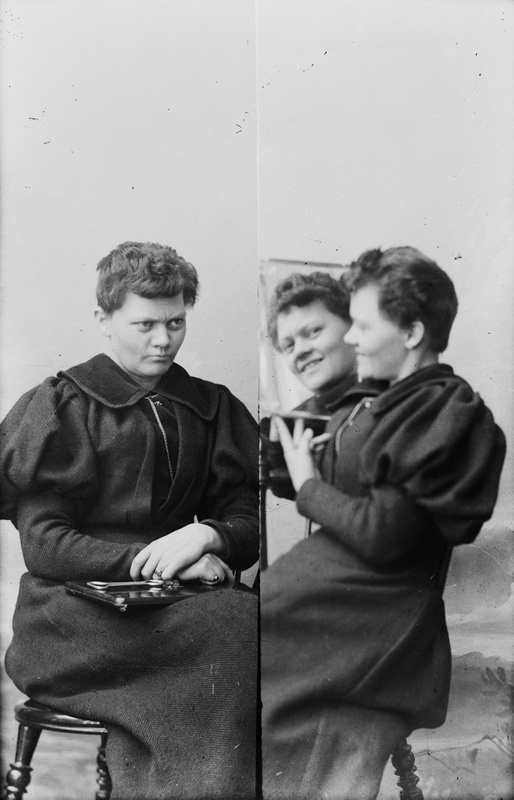 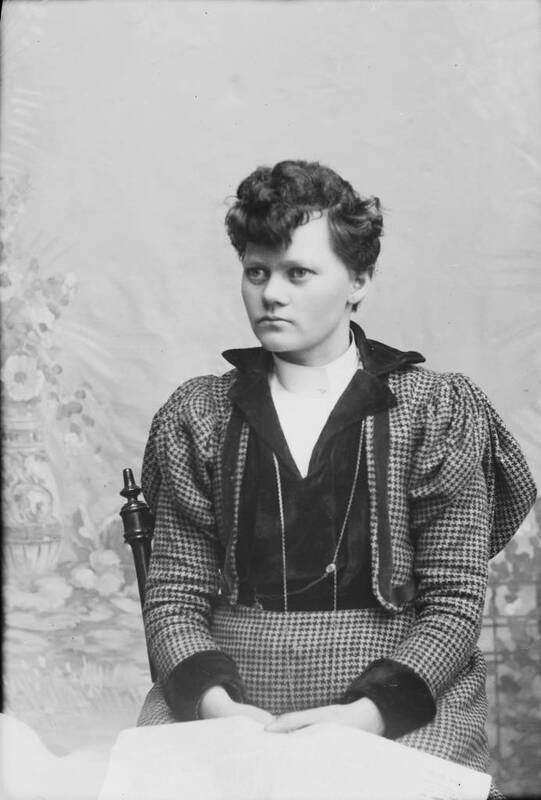 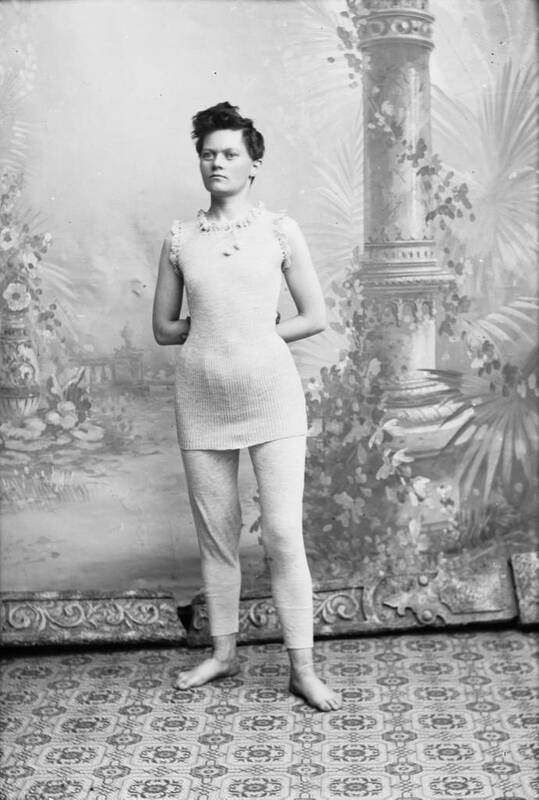 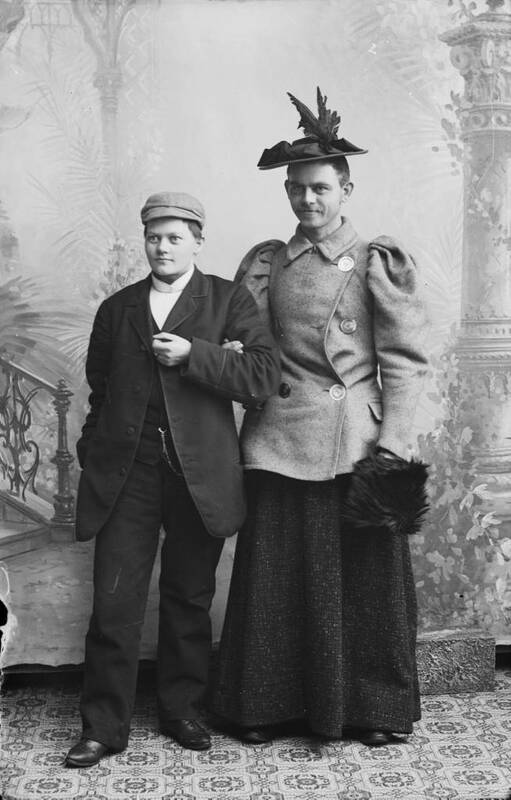 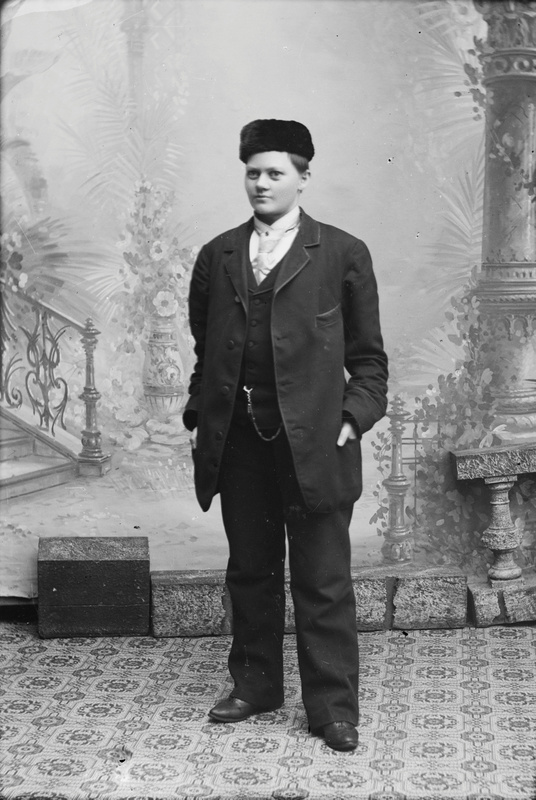 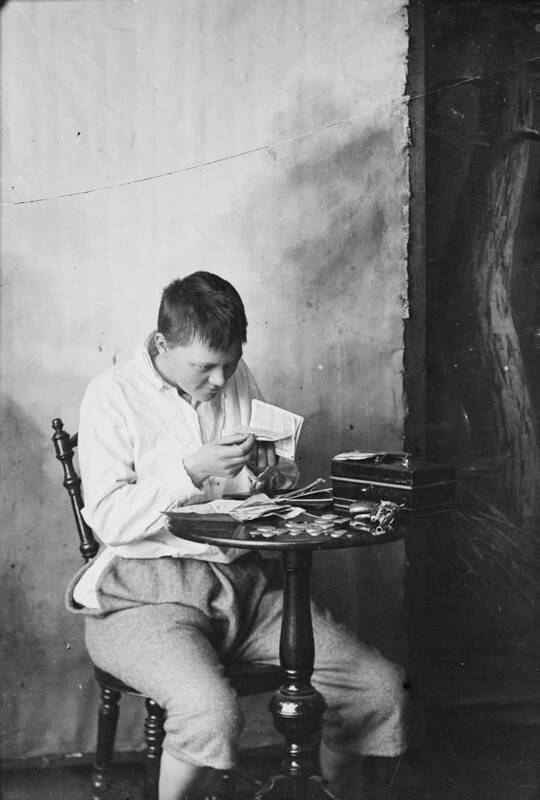 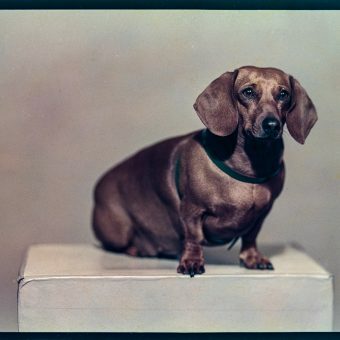 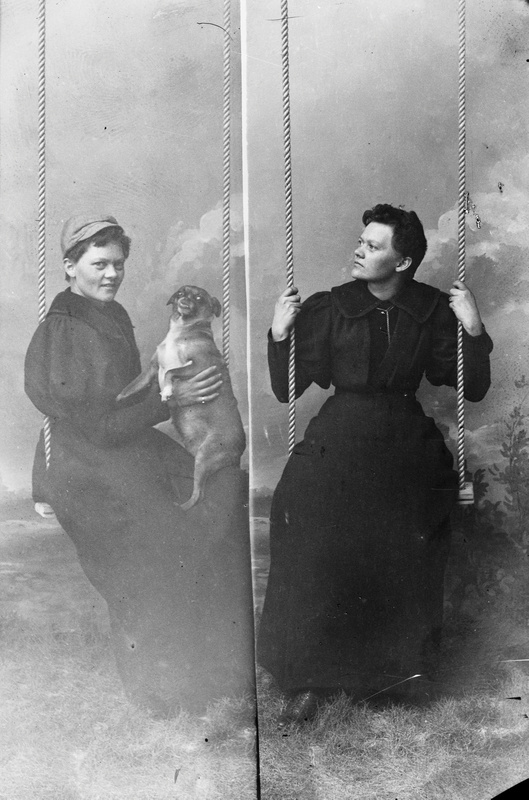 From 1895 to 1903 they ran the Berg & Høeg photography studio in Horten, Norway, where they took portraits and views of Horten and surroundings and lived on the proceeds from sales. 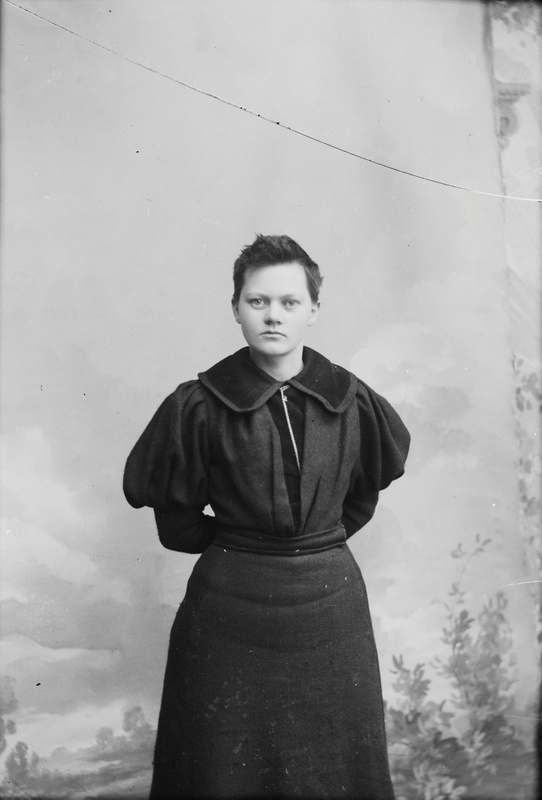 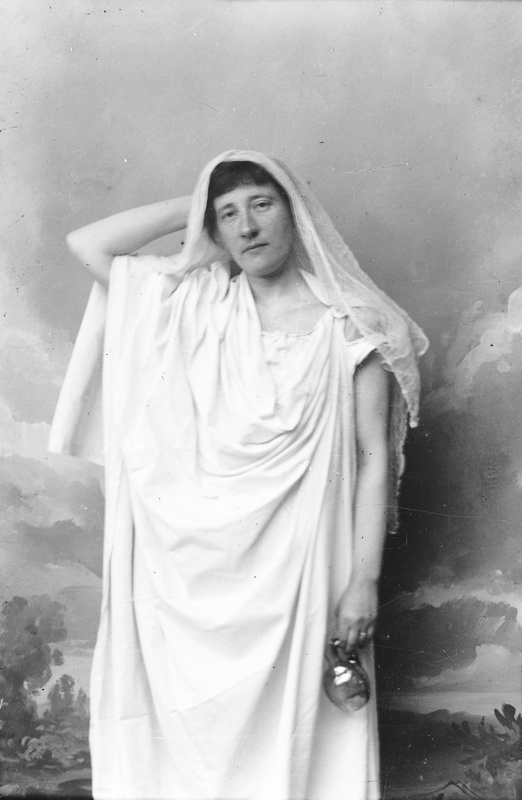 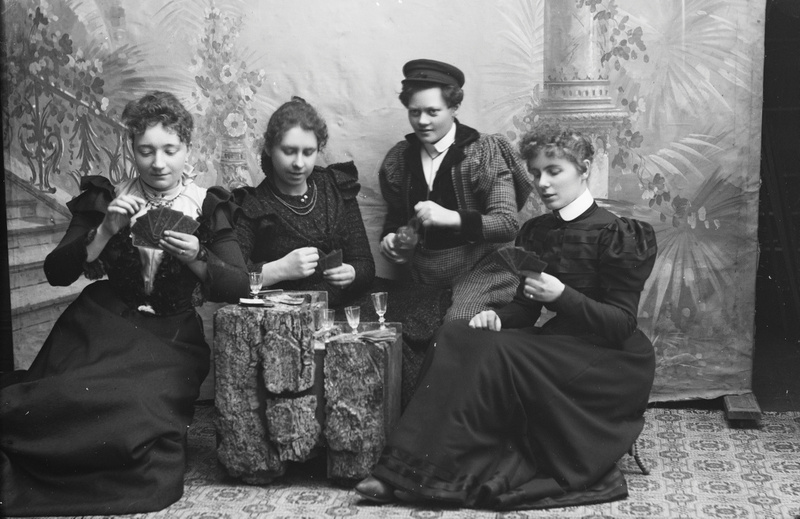 Høeg had a history of activism, starting groups to fight for women’s rights. 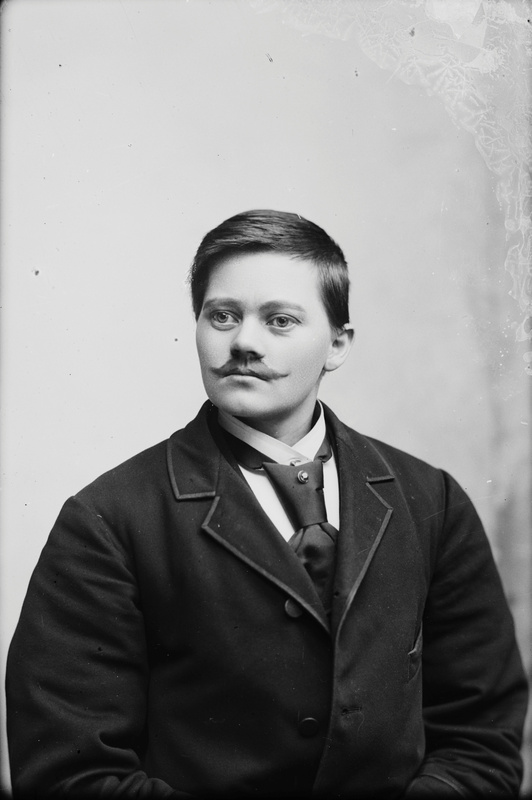 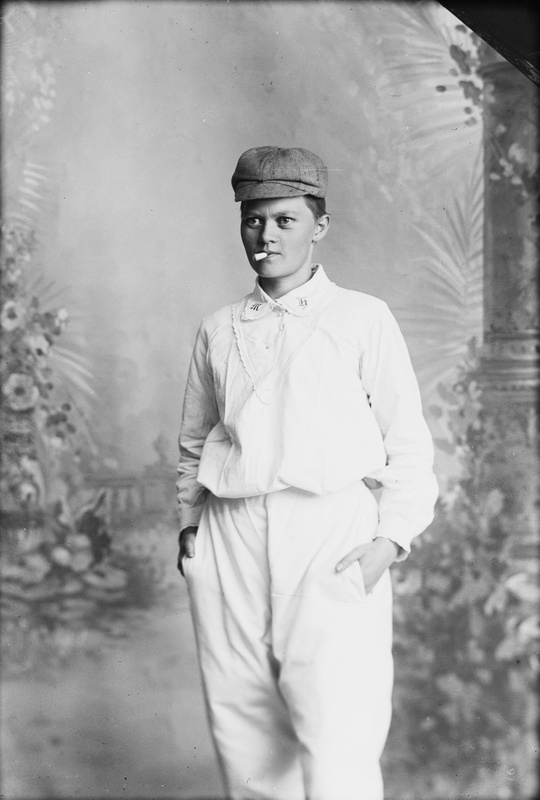 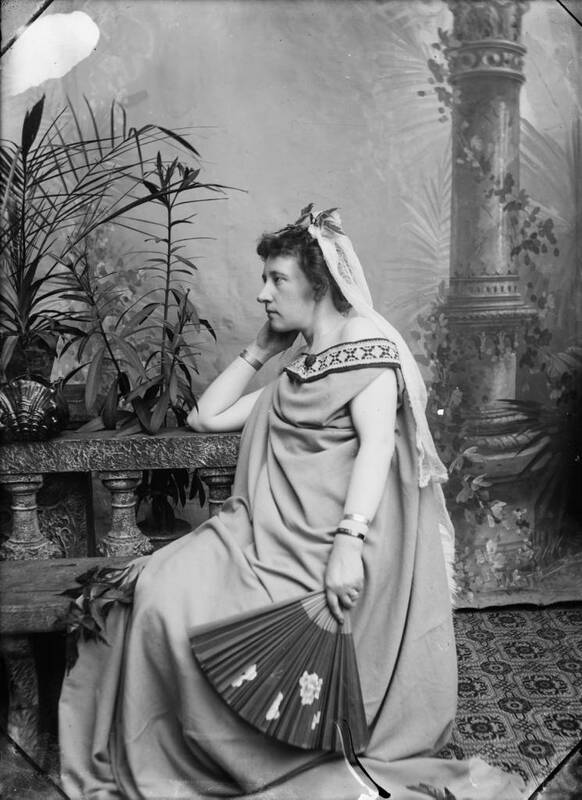 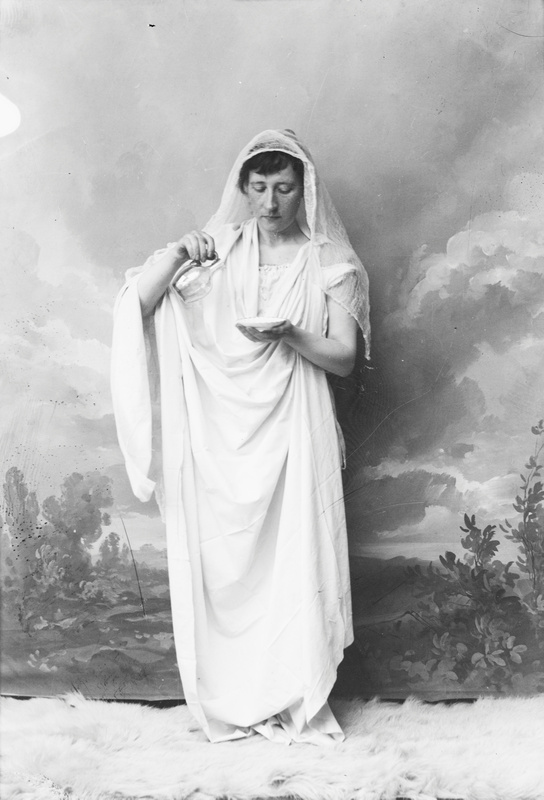 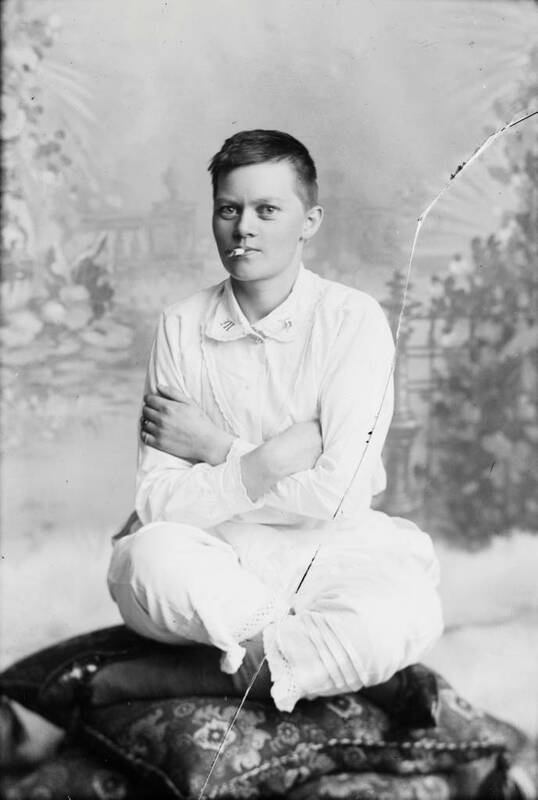 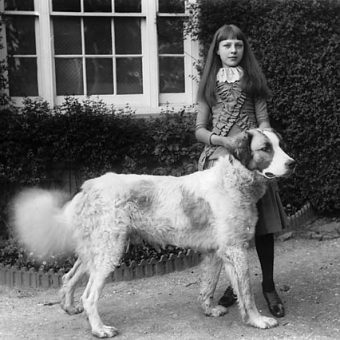 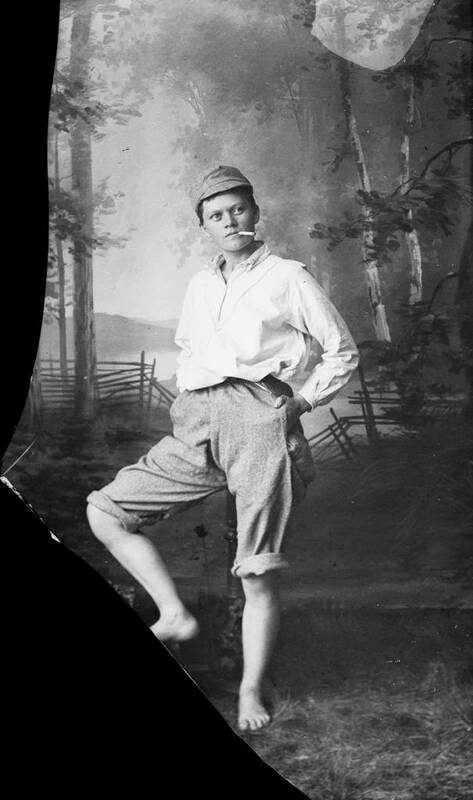 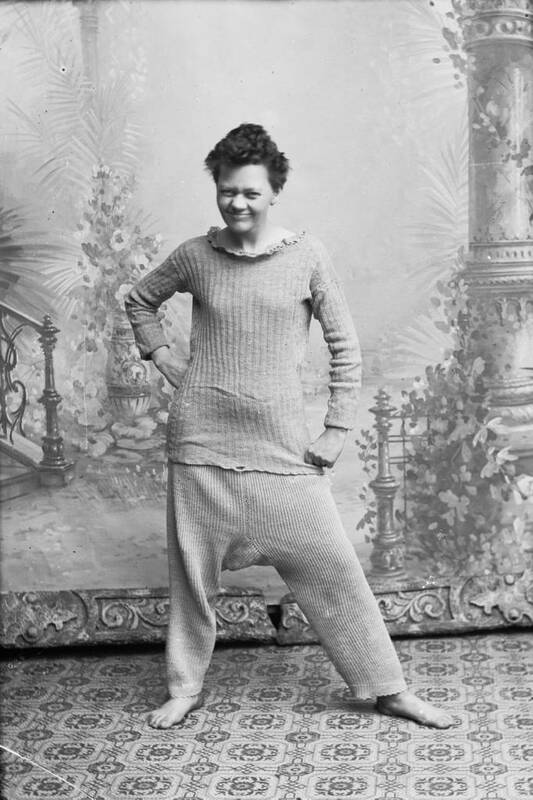 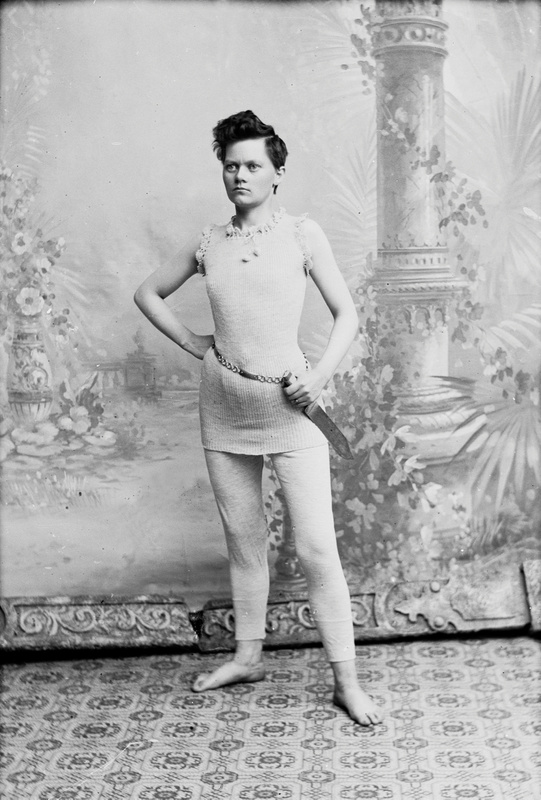 Bolette Berg was less extroverted but was very part of the campaign for gender equality. 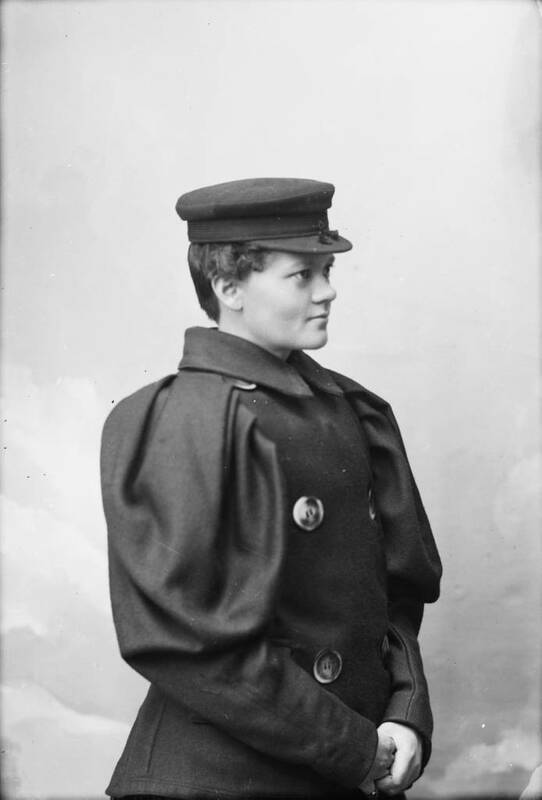 Women only won the right to vote in Norway in 1913.